Kathi and I are going to spend a few more days in Jerome -- the price is right. Below are a couple of pictures from the area. 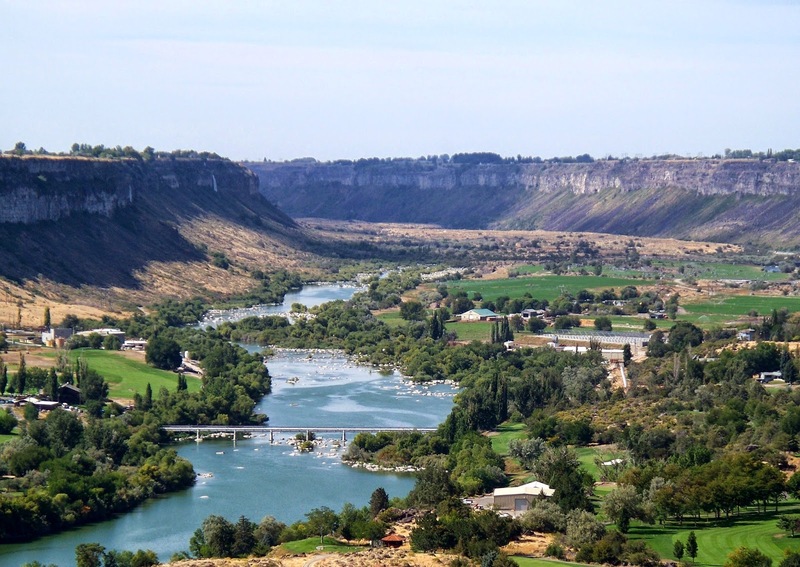 The first picture is the Snake River in Twin Falls, near the Blue Lakes Country Club. You can see the part of the golf course near the bottom left. The second picture is a river view near Hagerman, Idaho. 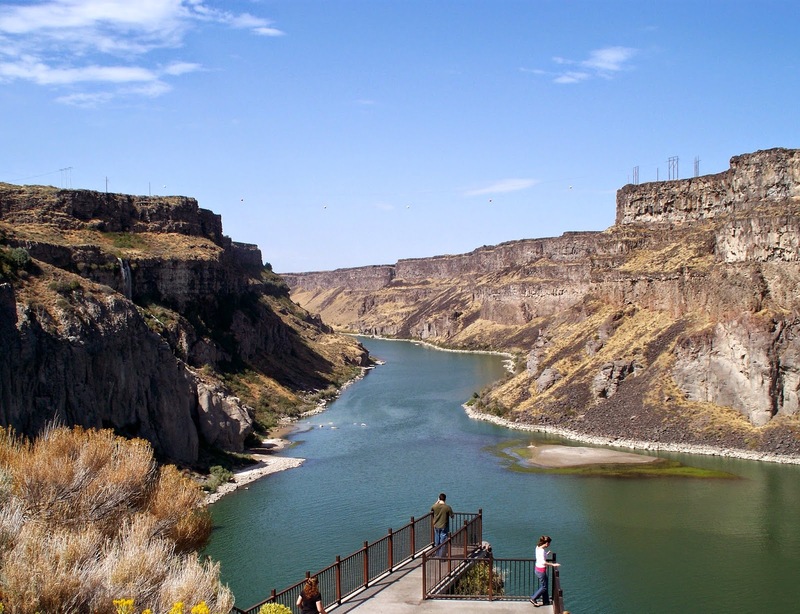 U.S. 30 between Twin Falls and Hagerman has many get views of the Snake. There are probably two dozen waterfalls that can be seen along this drive. We have stayed several times at the High Adventure River Tours RV Park in Hagerman.